If the unfamiliar causes anxiety, then a trip to the hearing specialist is especially nerve-racking. While nearly all of us have experience with the family physician and the local dentist, the visit to the hearing specialist might be a first. It certainly would be useful to have someone summarize the process upfront, wouldn’t it? Well, keep reading, because as you’ll discover, the process of getting your hearing tested is generally easy, comfortable, and pain-free — with portions that can actually be fun. The hearing specialist starts the process by getting to know you, your health history, and your hearing loss symptoms. Getting ready for this step is crucial, because this is where you get to describe to the hearing specialist the particulars of your hearing loss, what you expect to see from treatment, and your personalized hearing needs. This part is all about you: what do you want to attain with healthier hearing? Do you desire to play a music instrument again? Do you want to be more engaged in work meetings? Do you desire to be more active at social gatherings? The more you can tell your hearing specialist the better. The initial diagnostic test to be performed is referred to as an otoscopy. An otoscope is used to visually assess the ear canal and eardrum to identify if your hearing loss is correlated to infections, earwax accumulation, or obstructions. If the cause of your hearing loss is something as minor as earwax accumulation, you could potentially start hearing better within a few minutes simply from professional earwax removal. The second test is termed tympanometry, used to test the eardrum and middle ear. A device is inserted into the ear that will vary the air pressure, calculating how your ear responds to numerous pressures. Sensorineural hearing loss — this is the most regularly occurring hearing loss. It is also described as noise-induced hearing loss and it involves injury of the nerve cells of hearing. Conductive hearing loss — this hearing loss results from clogging or obstructions that limit sound transmission before the sound gets to the nerves of hearing. Tympanometry is a test that can help to rule out conductive hearing loss, to be sure that there are no blockages, infections, or middle-ear-bone ailments. Conversely, Audiometry, which is outlined next, will measure sensorineural hearing loss. The last group of tests will be completed in a soundproof room. These tests are collectively known as audiometry and will evaluate your hearing range and sensitivity. Audiometry is the best process to measure sensorineural hearing loss. Which frequencies you can hear well and which you have a hard time with. The minimal decibel levels, at multiple frequencies, at which you perceive sound. 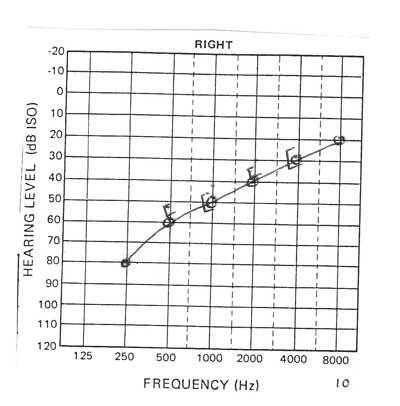 The precise measurements associated with your hearing loss (as recorded on an audiogram). Your ability to grasp speech, with or without background noise. The test on its own, from your viewpoint, will be comfortable and straightforward. You will be presented with sounds and speech through headsets and will be told to specify when you can hear the sounds by pushing a control or lifting your hand. After the testing is complete, your hearing specialist will analyze your results with you. If your hearing loss calls for medical or surgical treatment (due to infections or middle-ear-bone problems, for instance), your hearing specialist can make the appropriate referral. If your hearing loss can profit from assistive listening devices or hearing aids, your hearing specialist will collaborate with you to determine the ideal option for you, your finances, your lifestyle, and your aesthetic considerations. This entry was posted on Thursday, March 26th, 2015 at 9:00 am. Both comments and pings are currently closed.